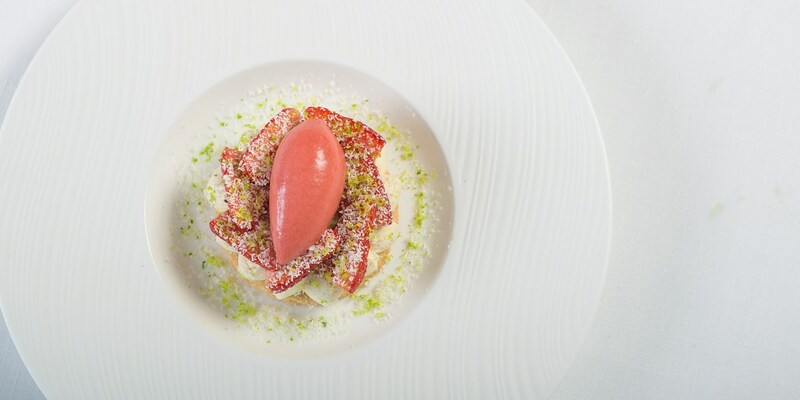 Daniel Fletcher, one of the UK's top pastry chefs, shares his top presentation tips for sweet dishes and talks about how new technology is changing the way desserts are served. Unless you’re treating your guests to a cheeseboard, dessert is going to be the last course of any dinner party. This means it’s also probably the one most people are going to remember, so putting just a little extra effort in can make all the difference. Obviously it has to taste good, but even the most amazing dessert in the world isn’t going to excite the senses if it’s just thrown together on a plate. That’s why presentation is of the utmost importance – something Daniel Fletcher knows all too well. He has worked in Michelin-starred kitchens across London, New York and Melbourne, creating desserts that look like works of art. However, he’s keen to stress flavour should always be a priority. ‘Presentation is key in all aspects of cooking,’ he says. ‘But I think there is a lot more freedom when it comes to pastry and desserts as there are so many different techniques that allow you to showcase the food in a variety of ways. They say you eat with your eyes, which I agree with to a certain extent, but for me the taste is more important. I like to think that guests will remember the amazing flavour of a dessert rather than how it looks. The gadgetry Daniel has access to in a professional kitchen also helps him remain consistent. ‘A Kitchenaid is always handy for mousses, meringues and anything that needs a good mix,’ he says. ‘Pacojets are also incredibly useful, as they allow you to churn ice creams and sorbets to order for the very best texture and freshness. Different moulds allow lots of creativity, and squeeze bottles are good for when you want to dress plates with precision.’ While some of the bigger pieces of equipment are more of an investment, picking up a few squeeze bottles or some specially-shaped moulds could make all the difference to your plating.